I know it’s still technically summer, but have you started to think at all about fall? And have you made any changes yet to your wardrobe or makeup? Next Post: Late Summer Sephora Haul! Cool! I’m glad you like that shade. Perfect for fall! It was in the 60s the past few days, definitely felt more fall-like! I got rid of most of my clothes since winter, so I definitely need to buy some warmer gear! It’s been cool here too. I’m not complaining though! I needed a break from the warm weather. Makes the electric bill a little more manageable too! We don’t have air conditioning, sadly! I wish we did, because when it’s hot I melt in my office! 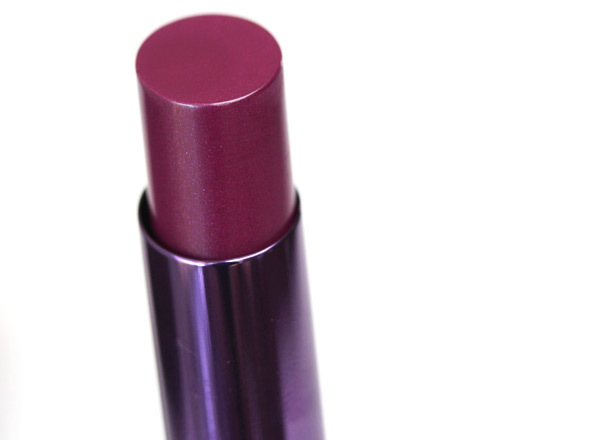 This weekend I was looking through my lippies for a darker color & realized I only have one–your selections make me think I need to buy at least another one! As for transitioning my makeup colors to fall, I plan on incorporating more gold & mossy green eyeshadows. Fall was my mom’s favorite season & I’m looking forward to the cooler days & different colors. There’s so many great ones out there. 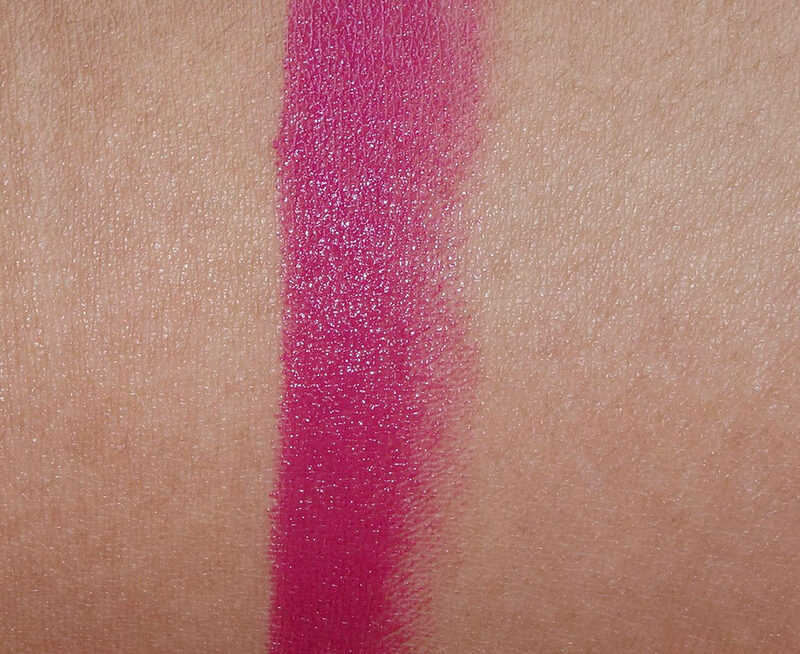 Definitely check out NARS Janet. It’s one of my faves! Oh, and great idea to wear more golds and mossy greens. I should take mine out to play! Venom is a UD classic. 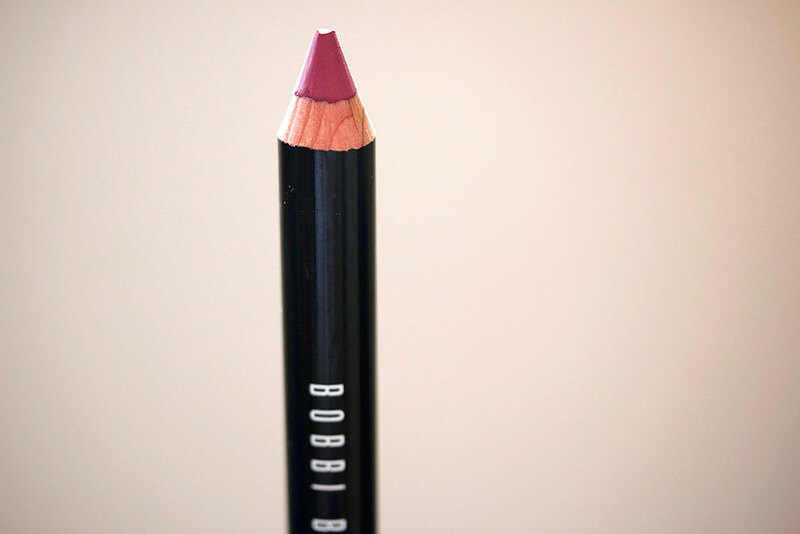 There’s also a matching lip liner! Tulip went for a walk in the back yard and laid out in the sun. I went to the Mac counter and Sephora. I bought the pro longwear foundation and powder. I was searching for the waterproof version but they told me that it’s super hard to find. The Mac store, Nordstrom and Macy’s didn’t have it so I just got the regular one with the powder and I got the prep and prime primer. The Sephora at Stoneridge was just remodeled and reopened so I went and looked around. I bought this Boscia stick cleanser and a Sephora bronzer. They were giving away a free make up bag and part of their reopening. How was your weekend? I saw that Tabs went for a walk too! How fun! I bet she enjoyed being outside with you. It’s such a nice way to bond with your cat, isn’t it? Bummer that you couldn’t find the waterproof version. Have you used the Pro Longwear Foundation before? I used it back in the day and remember really liking the coverage, but it broke me out. My weekend was good, thanks for asking. I went to a makeup class at Sephora at the crack of dawn on Saturday (the class was on daytime smoky eyes), and that was pretty cool. Then I ran errands and relaxed. Did pretty much the same thing on Sunday. Tabs and I spent a lot of time together just napping and hanging out! I’ve been so tired from the week that I haven’t been wanting to do much on the weekends, but things should be less crazy over the next few weeks so hopefully I’ll have more energy to do things. Tulip loves to go outside. She use to be afraid to go outside after she accidentally got locked out of the house one night. When she saw Jazmine going outside I think she got less afraid. I was letting her out without the leash but then one day she wouldn’t go back inside. I chased her all around the backyard so now she has to be on a leash to go outside. I told the lady at Mac I needed foundation that wouldn’t slide off my face for when I go to the Philippines next month and she suggested the pro longwear foundation with the pro longwear powder. It seems ok today but I did notice that it sticks to one of my dry spots so maybe I need to put a heavier moisturizer on that spot. Yesterday I was napping on the sofa and Tulip was in the window near by napping too but keeping an eye on me. She doesn’t like the electric fan so she stays in the window. This morning she was stretched out next to me when I woke up. I love waking up next to her. Works been busy and I’ve been doing some runs on the weekend so the weekends tend to be busy too. 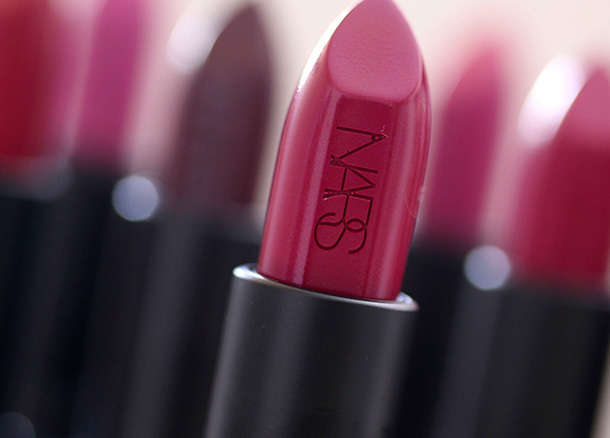 GIRL, NARS Janet is a must. How was your weekend? Do you do anything fun? Sounds like you had a wonderful weekend. Did ya make the wings? Great, now I’m hungry for picnic food. LOL! Nope, my brother bought the wings. Get the wings, kid. GET some wings. You wanna hear something sweet? On Sunday she said, “auntie, call me upstairs when you get ready to do your makeup so I can watch you.” In the past, she’s “done” my makeup & ivd “done” hers. During her last visit she said she wants to e a makeup person. Day. Made! My job as her auntie has officially been completed. ? I’m all about the sauce, especially when it’s got that balance of sweet and spicy. SO HUNGRY RIGHT MEOW! Well that was about the sweetest story. I think just might be the coolest auntie ever. Maybe you can take her to the makeup counter when she’s older? My mom took me to the Clinique counter for the first time when I was 14 and it’s one of my favorite memories. Oh that would be wonderful & she’d LOVE it. We both would. My mom bought me a Fashion Fair makeup set when I was about 15 or 16. And FF was SUCH a different brand back then. They def appealed to an older generation but I remember it so fondly. One more thing- get the wings, kid! ? Me too! I’m warming up to the more intense shades. Wines and browns and plums… SOON! I’m so ready for these types of colors! 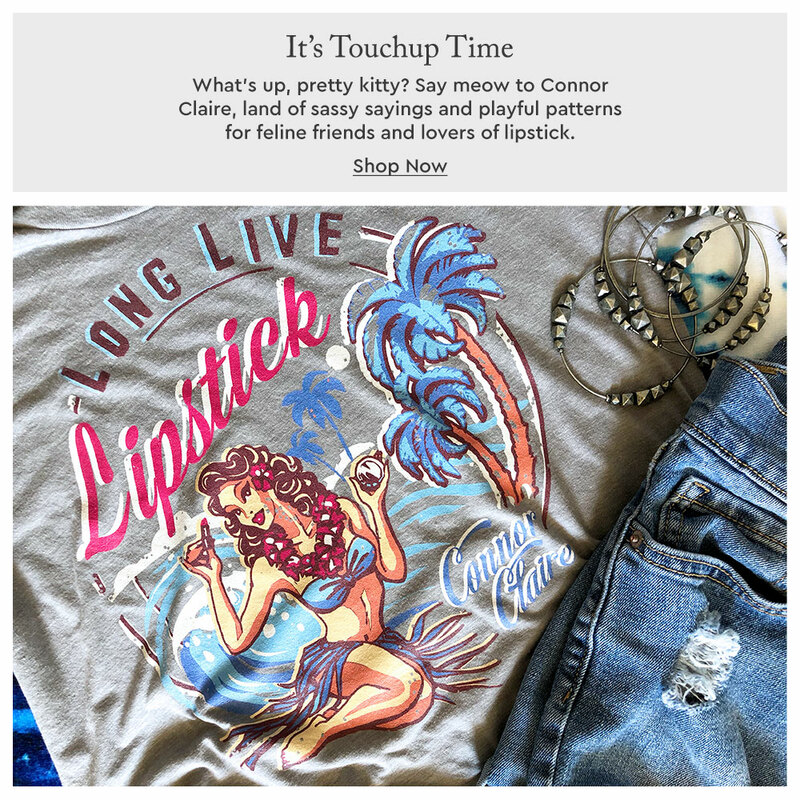 Erin recently posted … Beauty Influencer’s Sunday Column Vol.14: ​​What’s the inspiration behind your blog name? How did you come up with it? I was at Sephora on Saturday and I tried on Janet after you posted a pic of IG wearing it and it’s such a gorgeous shade. I’d have to wear it a little sheered out though. 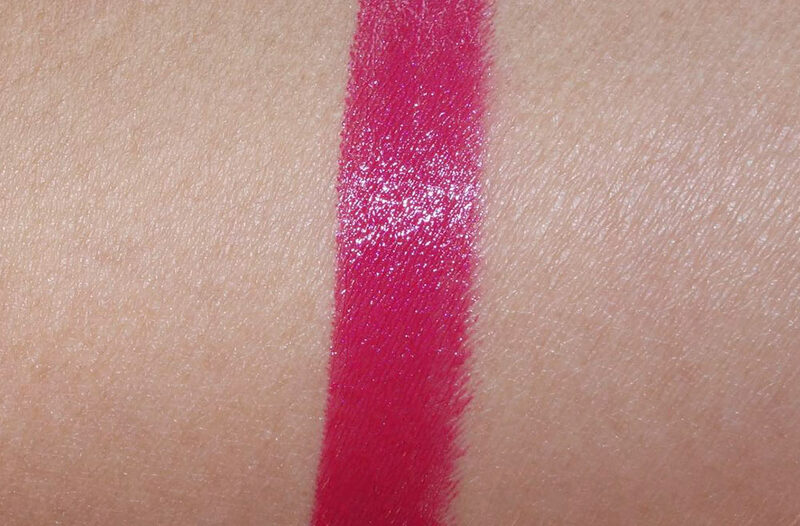 That UD Venomn looks like a beautiful shade too though! I don’t think I own any magenta lipsticks! I love magenta so much. Why don’t I own Venom yet? I must rectify that. I love this post. I love seeing options for the same hue from a handful of makeup companies. I don’t have any magenta lip colors! I need venom and I need raspberry like stat. I haven’t done any fall transition yet. I’ve got lap up every last bit of summer and pretend like its still August until we nearly hit October. Otherwise, I’ll never survive another Maine winter, especially if its anything like last year’s. I’m wearing Essie Mint Chip on my hands and Sephora Brazen on my toes. I am, however, starting to think about an indigo polish for my mani. I am so not ready for fall! I never am. I wish that after summer came spring, again. 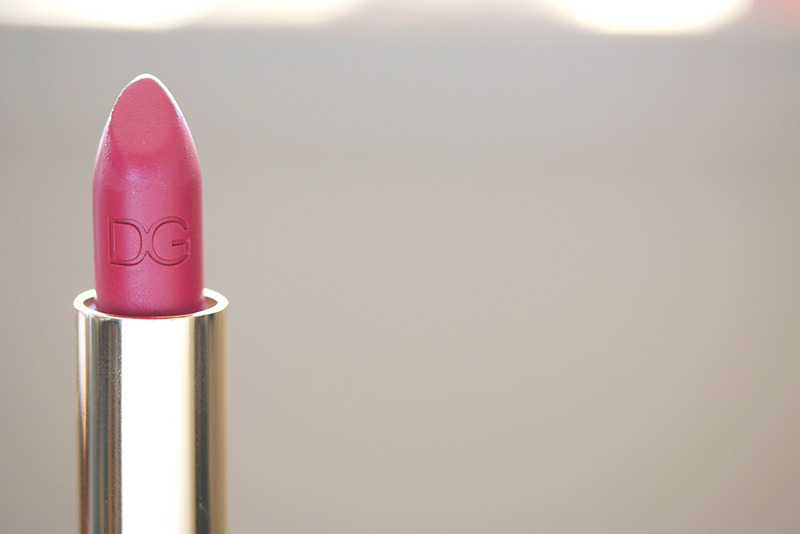 I love these kind of shades but I’m not ready to say the summer goodbye. Ah! I want them all! That first picture of you wearing Janet is perfection! I’m going to add Janet to my Sephora November Sale wishlist 😀 Violet Fatale is gorgeous too! I am enjoying the fall fashion but my feet are still in my sandals!!!!! While I love fall I am not looking forward to -40 degrees temperature, so I will definately hang on to summer a bit longer!!!! Love UD Venom! I just wish it came in the sheer version though. 🙁 I feel like I look better in sheerer, shinier lip color. 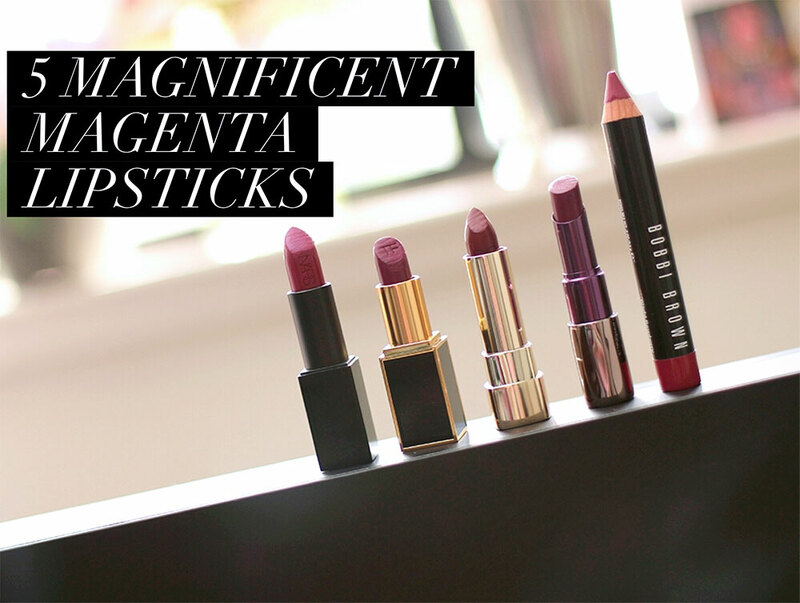 Thanks for this feature on magenta lipsticks! 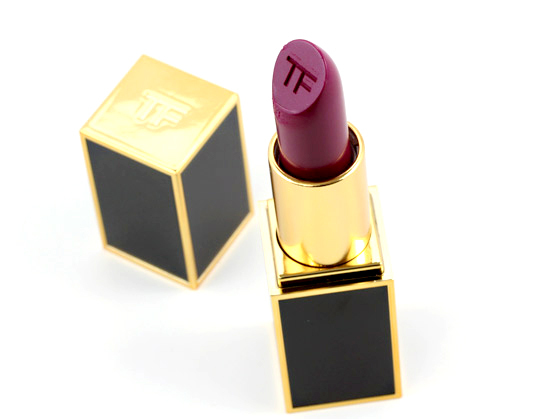 Although I’m still holding onto summer, I pulled out my Tom Ford violet fatale and it felt so updated and beautiful! Thanks! I love your blog.